Fractal water is said to provide a higher level of hydration and overall health in crops, animals and people. 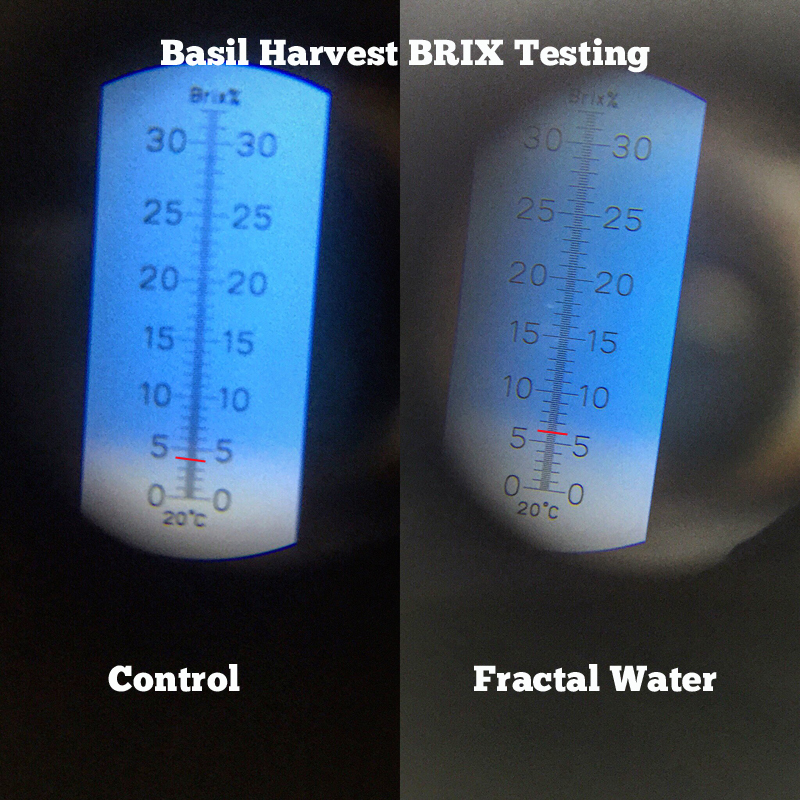 We agreed to put the concept to the test with a Vortex Water Implopder, supplied to us from FractalWater.com. 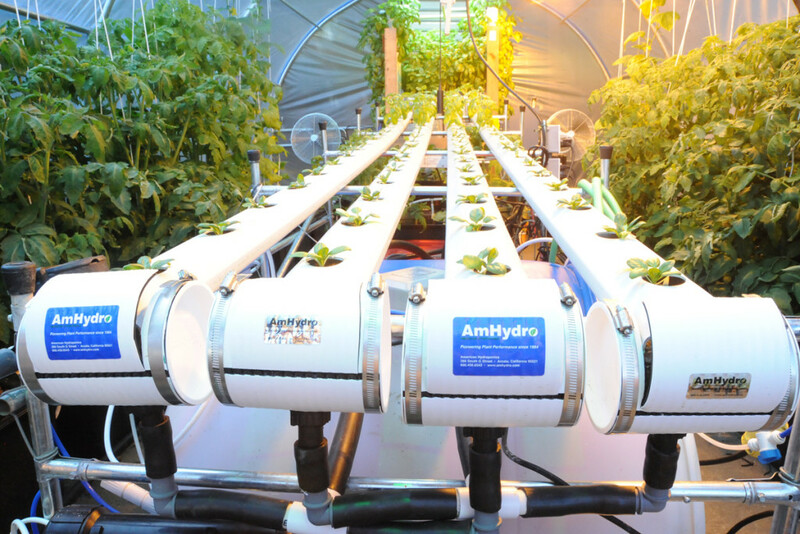 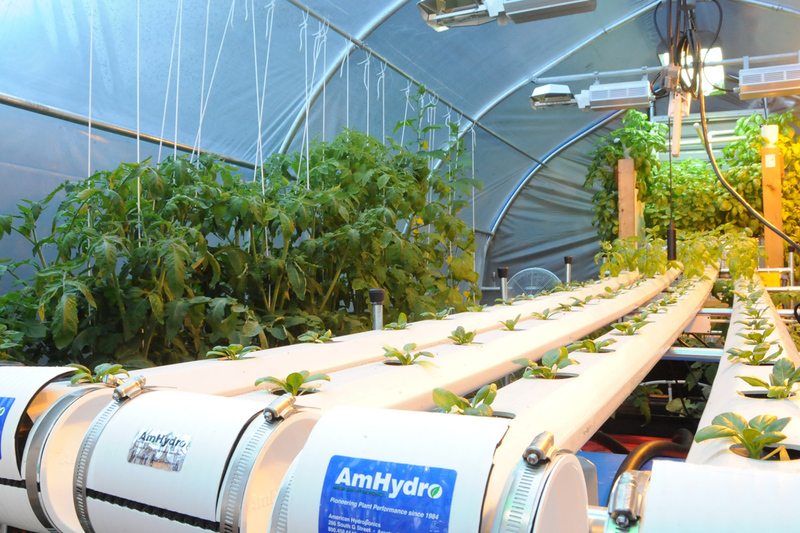 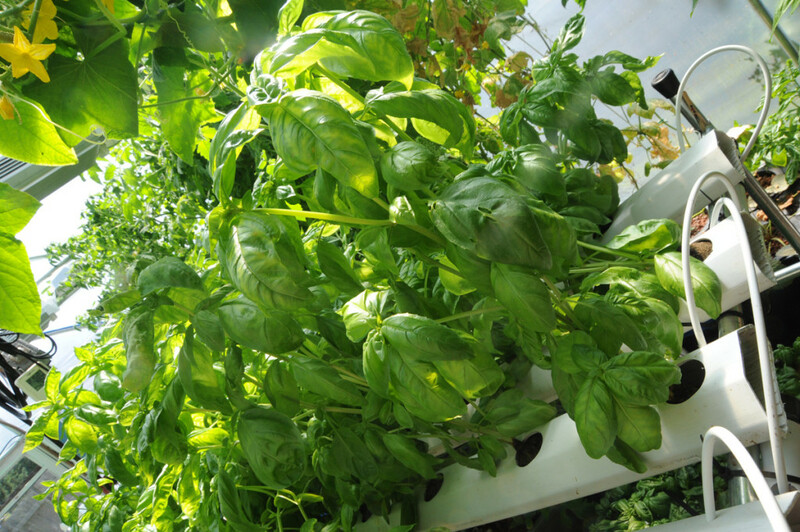 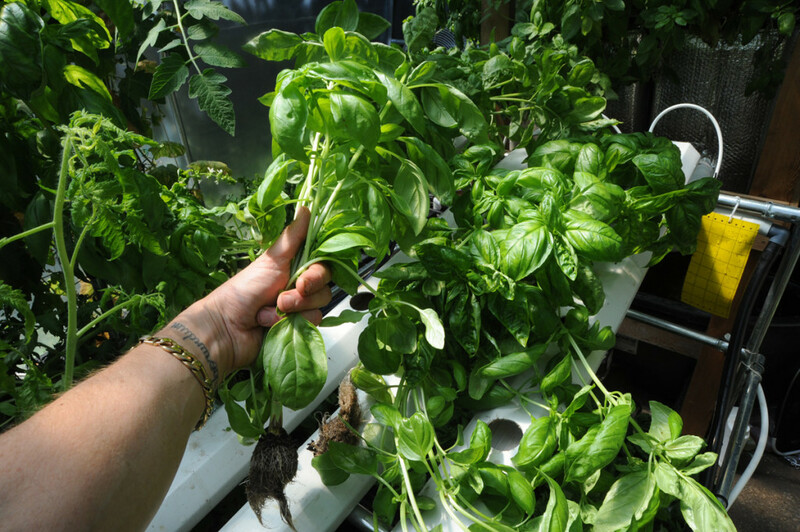 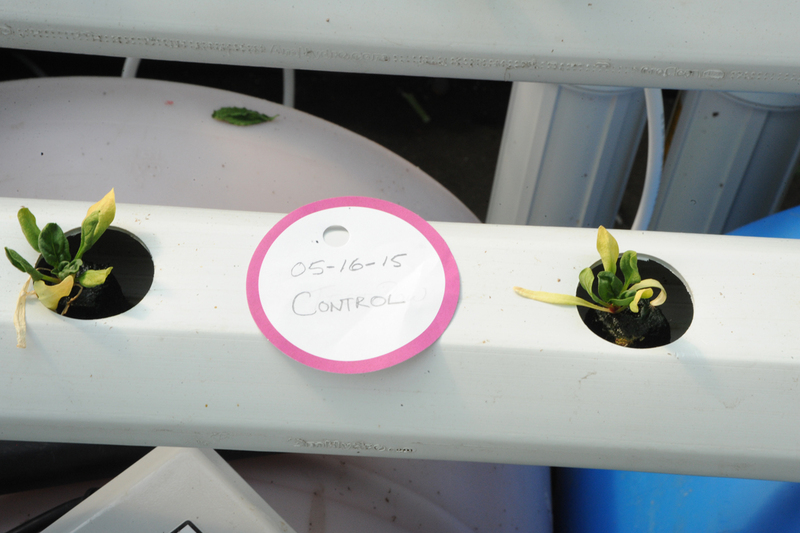 Through our greenhouse hydroponics garden testing, we have observed and documented the profound differences water quality can have on how our plants perform. 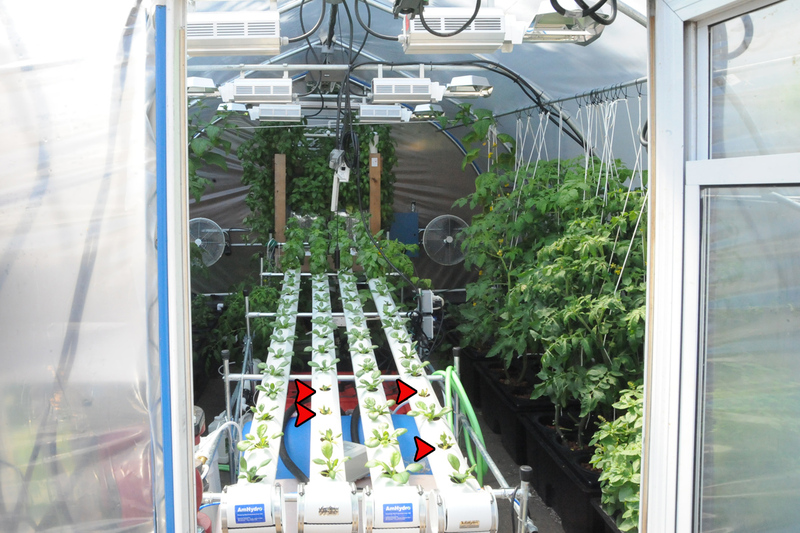 For example, recently we did a side by side Grow Trial in a climate controlled greenhouse with supplemental lighting and carbon dioxide using a single water source with two different levels of water filtration being used (Hydrologic Stealth Filter and GroGreen Filter) to fill two identical twin RDWC hydroponics systems (Under Current Pro). 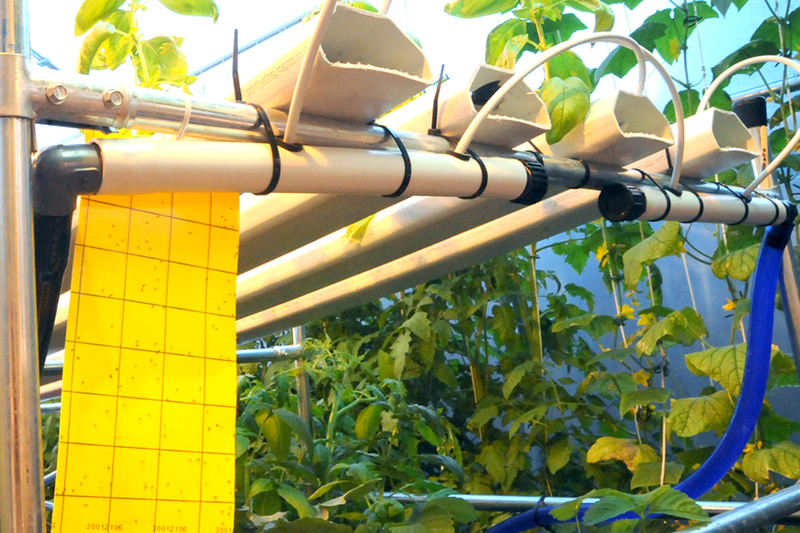 Please review the following | LINK | to see the difference in crop health and growth that higher quality water stimulates under real world growing conditions. 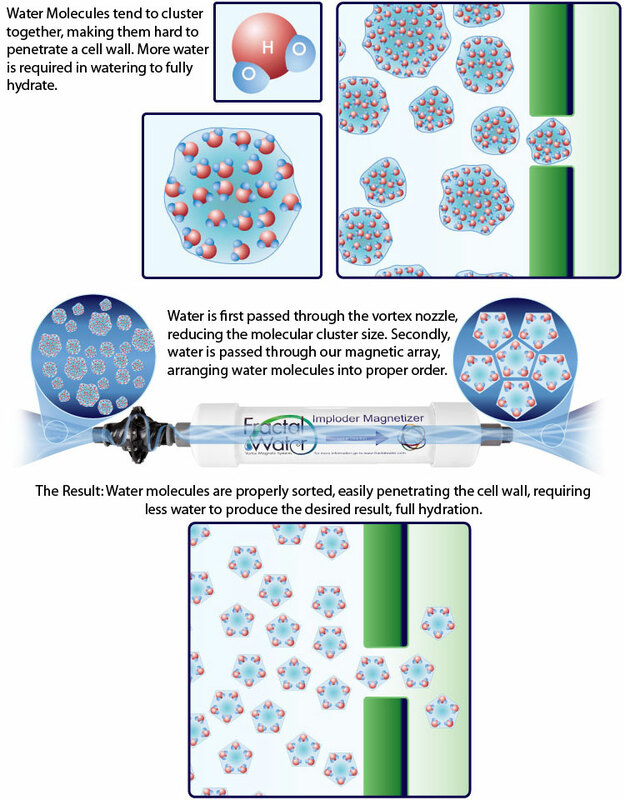 What is the Theory Behind Fractal Water? 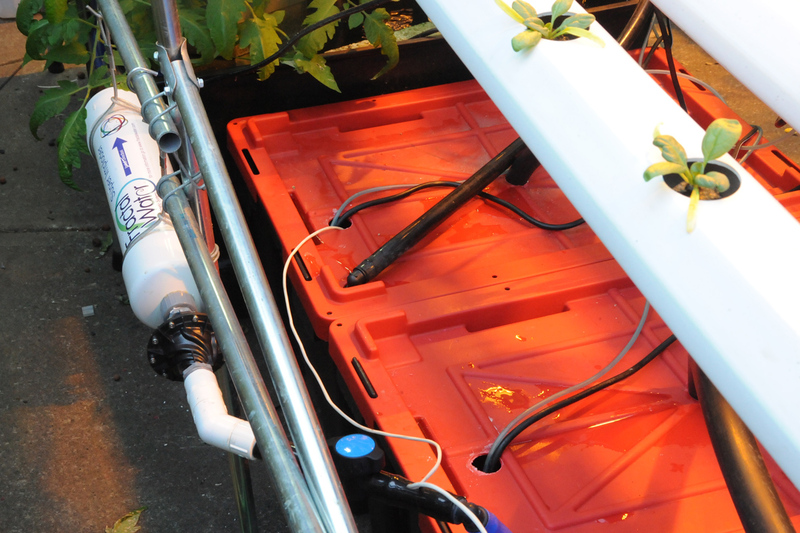 May 8th, 2015: installed independent catchment and feeder systems to 100L reservoirs, vortex imploder on TEST troughs installed. 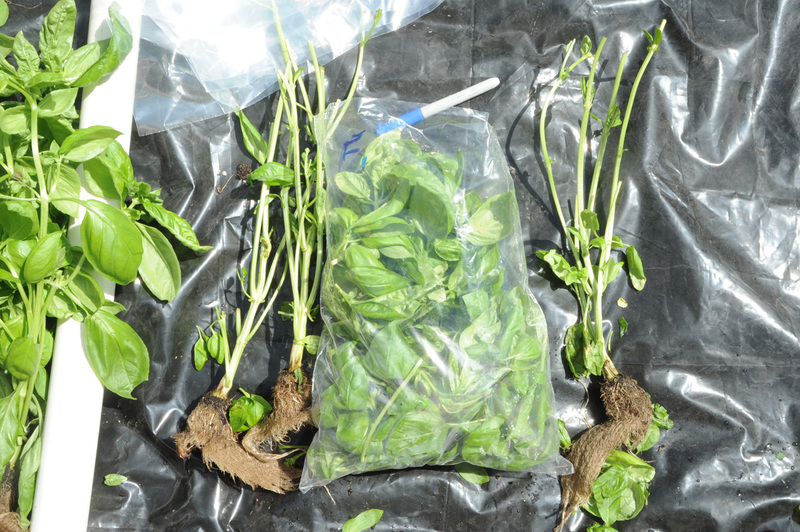 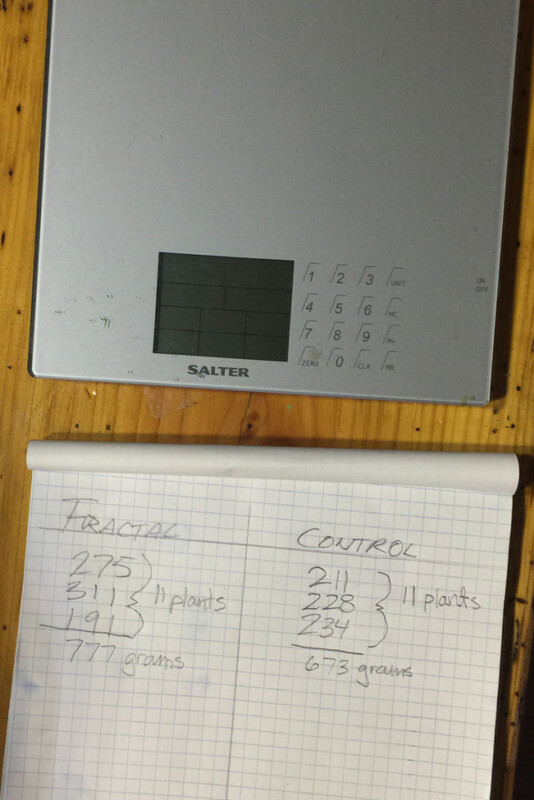 Twelve Matador spinach seedling plugs and sixrooted Genoves Basil cutting plugs per channel, two channels per treatment, 72 plants total in test. 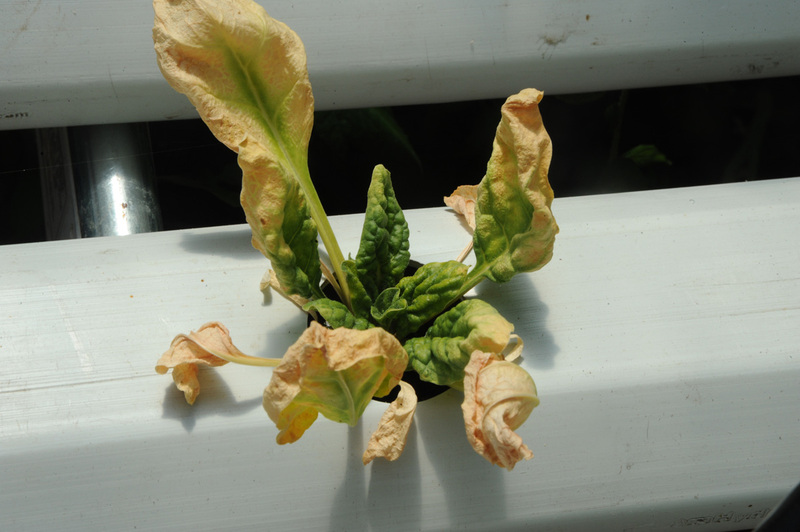 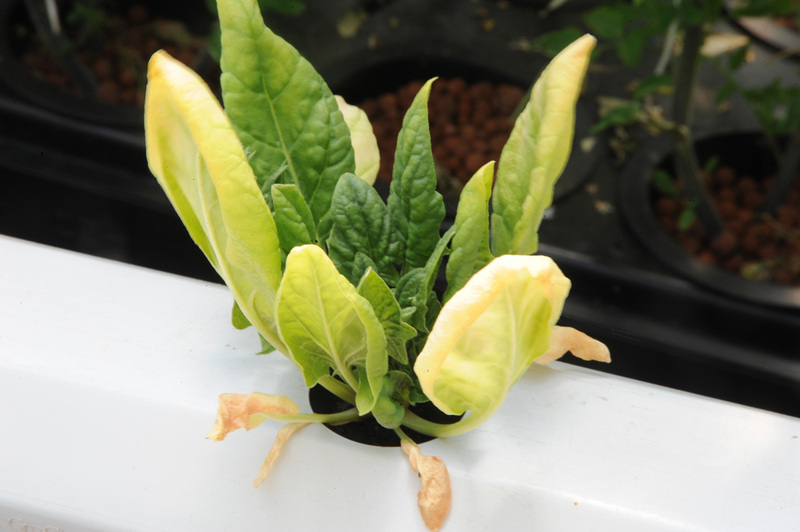 Note that early on in the study we reported to be what appeared to be an outbreak of Fusariumin our spinach portion of the crop (heirloom, “Matador”) that we tracked back to our propagation phase. 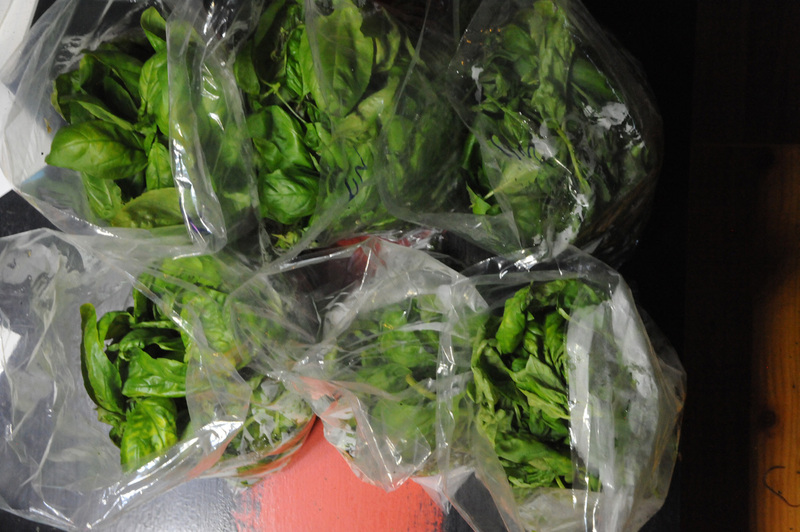 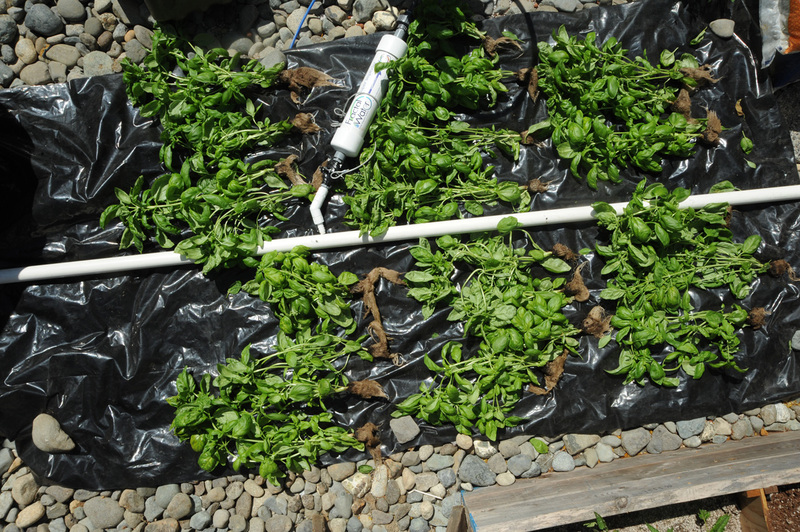 We did not count or weight the spinach as it was not marketable by harvest date, noting that we could likely have surpassed the outbreak in both treatment, butallowed it to run the course for the purposes of study and education, as related to hydroponic crop cultivation.